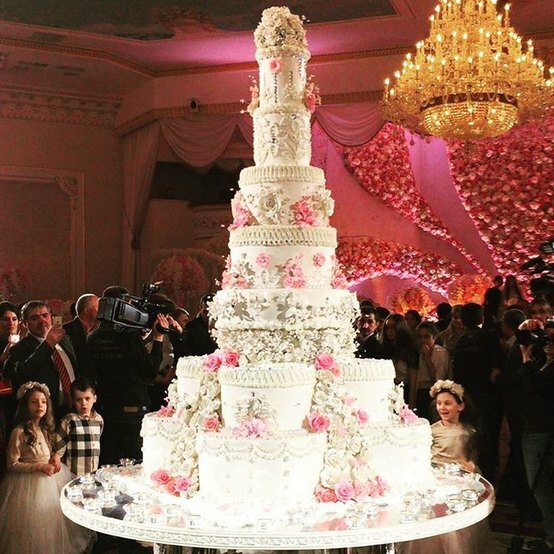 After the large-scale wedding of Gutseriev, another lavish wedding wedding took place at "Safisa" restaurant! 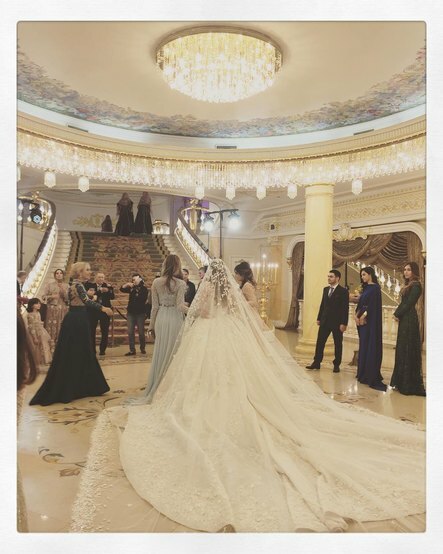 This time, married the son of the head of the Chechen regional branch of "Rosselkhozbank" Usman Erihanov - Mohammed. 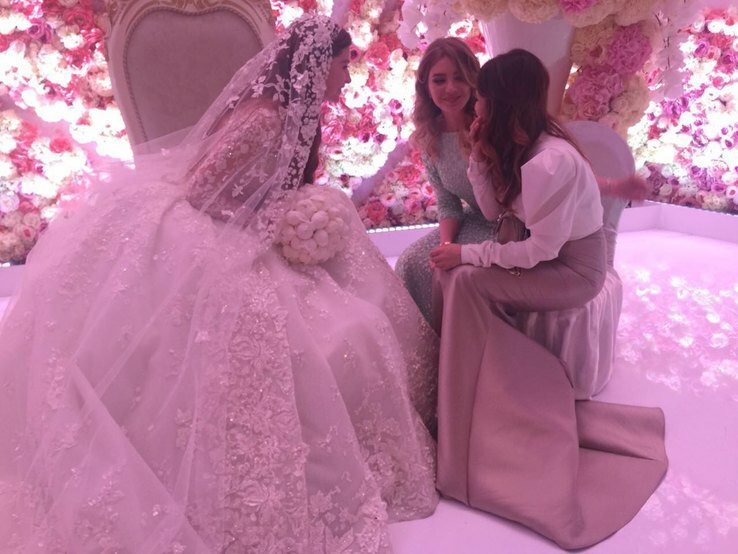 His bride was the daughter of the president of "Alliance Group" Musa Bazhaev - Mariam. 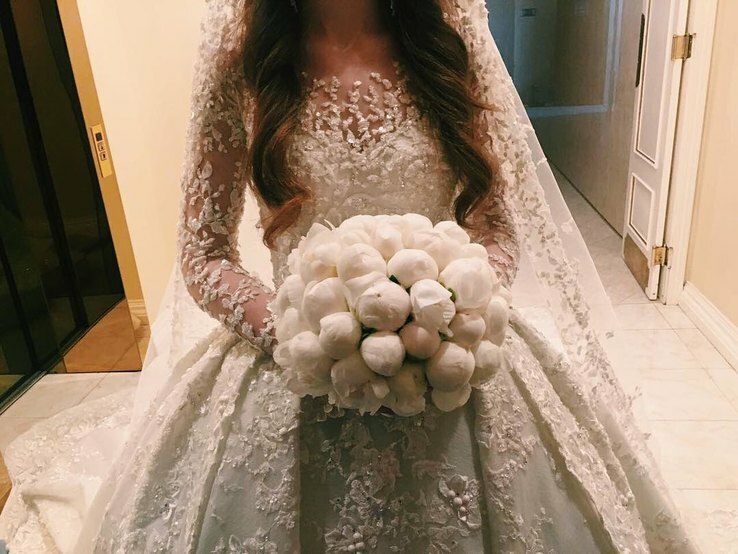 Wedding took place without foreign stars, but the decoration was no less luxurious than the decoration of Said Gutseriev’s wedding. 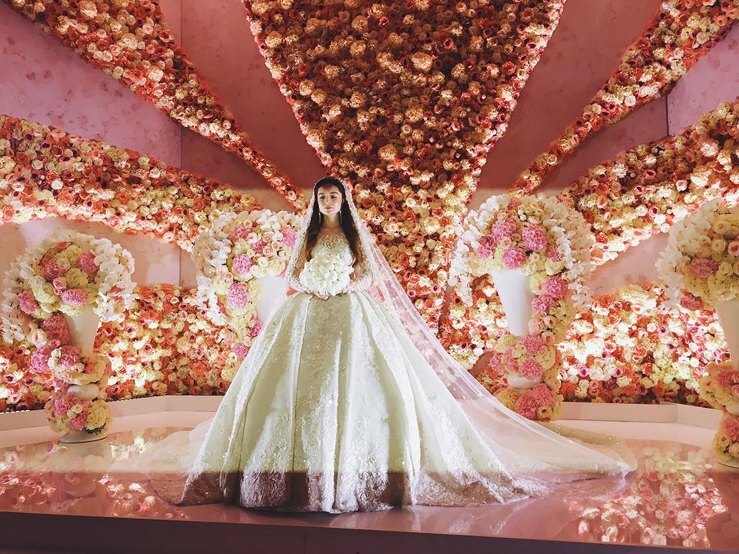 According to LifeNews, restaurant hall was decorated with floral arrangements, guests were treated to national dishes, fruits and snacks, but the alcoholic drinks at the wedding were forbidden. 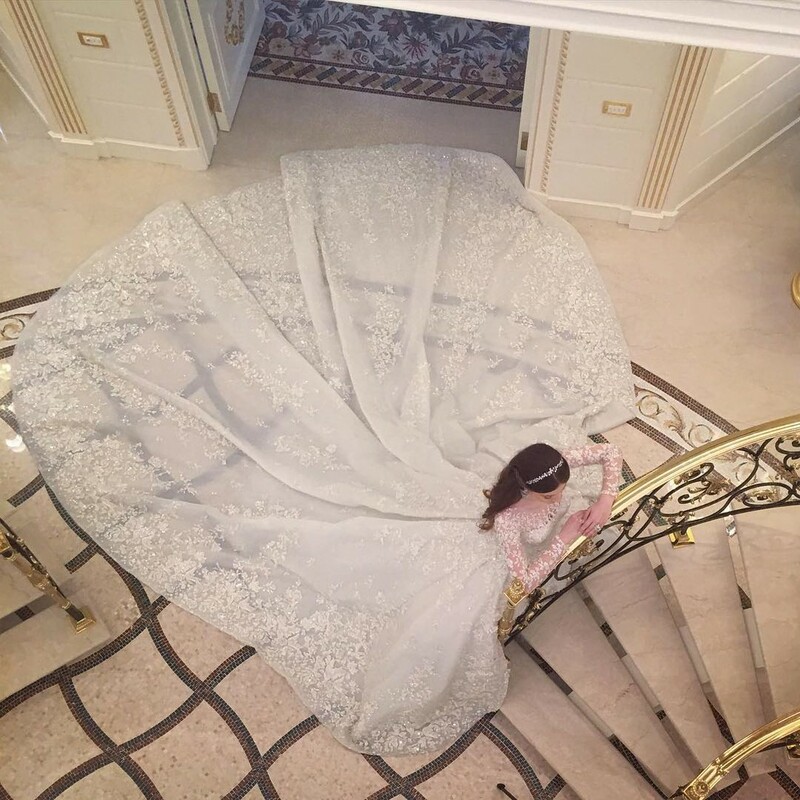 22-year-old graduate of MGIMO Mariam Bazhaeva choose for her big day a wedding dress by Zuhair Murad Haute Couture. 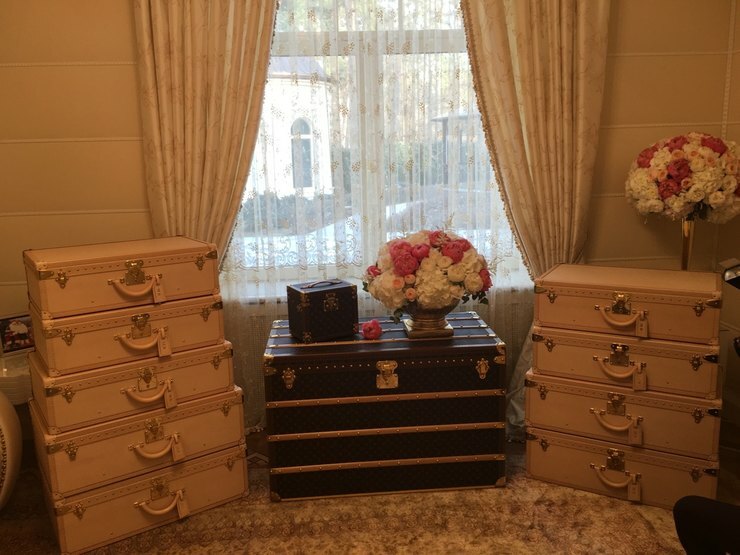 Her dowry consisted of Louis Vuitton cases with shoes and handbags. She, incidentally, answered the questions on Ask.fm, where one of the followers asked her to publish a photo of cases. Miriam shared photo, as well as answered a few questions about the celebration. So, she said that she was a bit sad because she had to leave her parents. "But I'm in a very good family", - added Mariam. 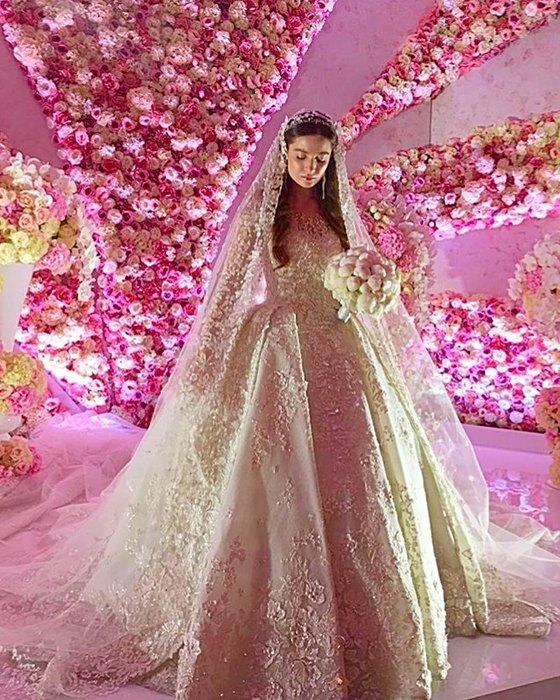 According to the girl, she was preparing for the wedding for a year and married for love. In the cases, she said, “Shoes and bags" as a gift. There were about 200 guests at the festival. 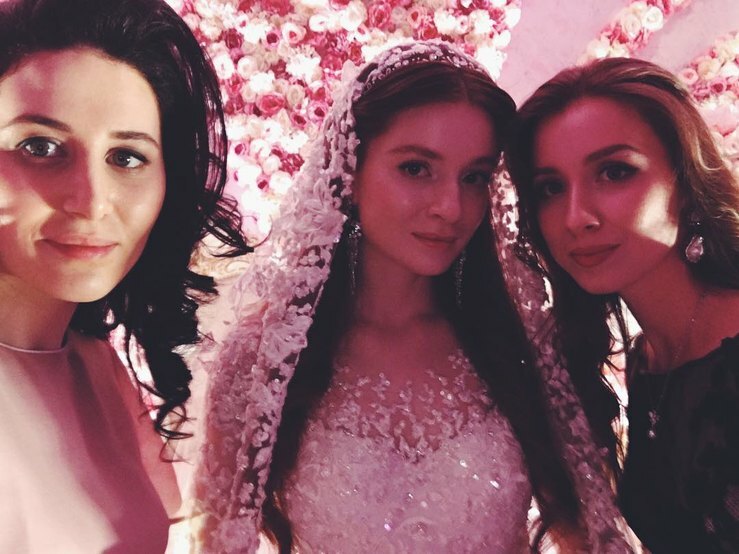 They were entertained by Chechen singer Makka Mezhiev and Makka Sagaipov, Dagestan Artist Rinat Karimov, the group "A-Studio" and the star of the show "The Voice" Sharif Umkhanov.